Problem-based learning online is a burgeoning area, crying out for support in all the disciplines, but particularly health, medicine, education and social care that are already advanced users of problem-based learning in higher education. This book provides highly grounded research based ways for those wanting to change problem-based learning modules and programs from face to face to online approaches, as well as those who have developed e-learning components but who want to adopt problem-based methods. Providing an overview of the current state of problem based learning online, it examines why we're moving from fact to face to online provision, considers existing forms of provision, outlines common mistakes and strategies to avoid future problems, and shows how to effectively facilitate learning. Illustrated by mini case studies and examples of international projects, it provides guidance on effective design, online collaboration and group dynamics, and explores the common, and complex, decisions faced when choosing which form of problem-based learning to adopt. 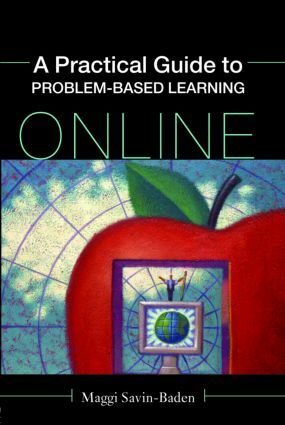 Including practical information and resources for games and activities, scenarios of problem-based learning in the different disciplines, advice for supporting staff and students, and effectively evaluating the tools, skills and pedagogy needed for learning, this book is an essential guide for all practitioners involved in the design and delivery of problem based learning online.